Roland Clayton Fawcett (1867-1923) – Temple Lodge, No.33, Duncan, B.C. Roland Clayton Fawcett (1867-1923) was the station master for the Esquimalt & Nanaimo Railway station at Duncan when the E&N Railway Station was built in 1912. 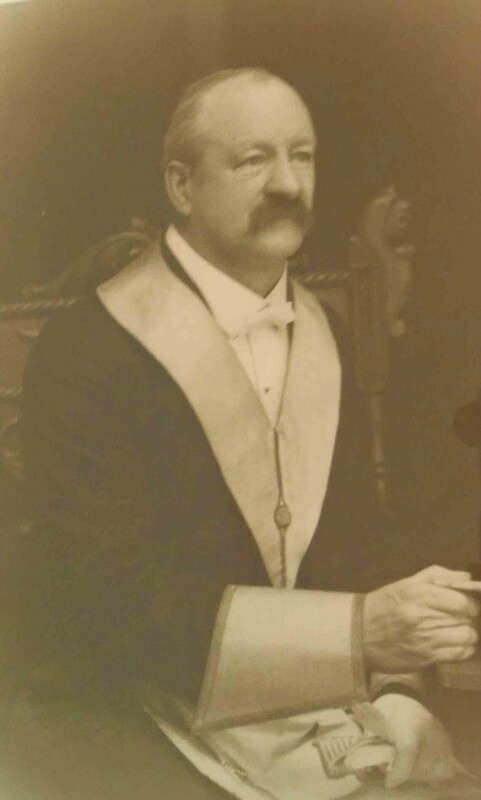 He served Temple Lodge, No.33 as Senior Steward in 1910, Senior Deacon in 1911, Junior Warden in 1912, Senior Warden in 1913 and Worshipful Master in 1914. He also served as Organist, 1917-19, and Lodge Secretary in 1920. The former E&N Railway Station, Canada Avenue, Duncan, B.C. Roland Clayton Fawcett was the station master when this building was built in 1912. Roland Clayton Fawcett is buried in St. Mary’s Somenos Anglican cemetery. “Fawcett – We regret to record that, early on Thursday morning last, Mr. Roland Clayton Fawcett passed away at Duncan hospital, where he had been since he was struck with paralysis on Sunday, October 6th last. The funeral took place last Sunday. 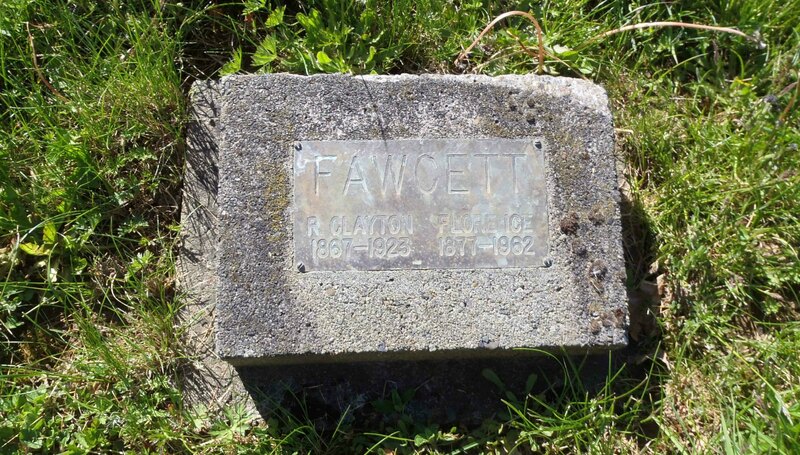 Mr. Fawcett was a member of a well known pioneer family of Victoria. His father, Mr. R.W. Fawcett, who died in 1912, arrived in that city in 18[note: illegible in original]. His mother, who was married about 1863, died in Victoria in 1900. Mr. Fawcett went to school in Victoria and there won the Governor-General’s medal. 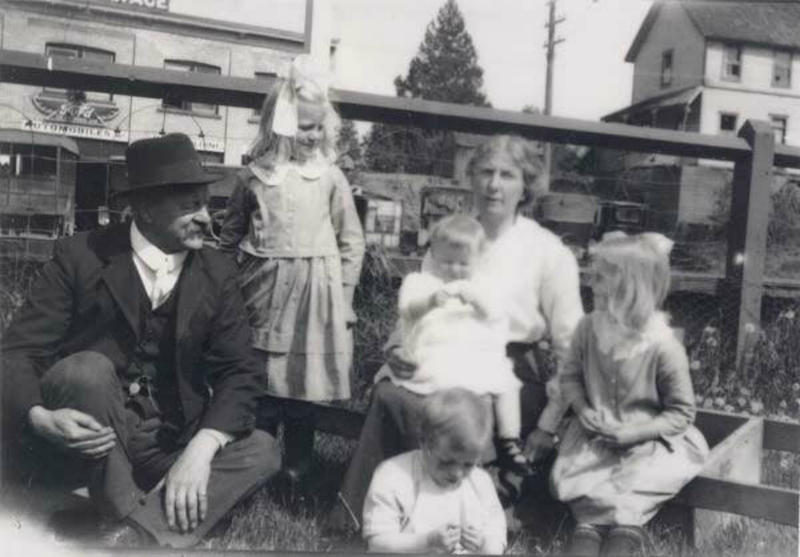 On leaving he took up telegraph operating and, in 1900, entered the service of the E & N R. [note: Esquimalt & Nanaimo Railway] He was at Cobble Hill for about a year as agent and accepted a similar position when moved to Chemainus where he remained some four years. He then came to Duncan, where he replaced Mr. Robert Reid, who was agent for a short time after the late Mr. Harry Williams. Mr. Fawcett became associated with the Odd Fellows on coming of age. Thus for over 35 years he had been a member of the order in which his father had belonged for 48 years. He belonged to Columbia Lodge, No. 2, I.O.O.F., Victoria and became Noble Grand when quite young. In Duncan he was one of the most valued members of Temple Lodge, No. 33, A.F. & A.M. in which he led the highest office and of which was organist at his decease. He had long been a member of the Order of Railroad Telegraphers. As one of the most dedicated and self sacrificing members of St. John’s, Duncan, he will be greatly missed. He it was who started the Sunday school and for many years carried it on single-handed. He was Vicar’s warden for seven years in succession, and to him is due the installation of the seating and electric lights in the church. For sixteen years he was a constant member of the choir. He was for a time choirmaster and, in emergency, he could take his seat at the organ. His busy life as stationmaster left Mr. Fawcett little time for recreation. Few realized that in him they saw a former member of the old Victoria rugby fifteen, which included Mr. Lindley Crease, K.C. In musical circles Mr. Fawcett was a tower of strength. He played both violin and piano, and was a member of the Cowichan Amateur Orchestral society. He was an old member of the Duncan Board of Trade. In business he was a model of painstaking care and efficiency. Beneath an occasional brusqueness of manner there was the kindliest spirit. Those who knew him best realize how much he did to assist, in a thousand different ways, scores of friends and acquaintances. He married, in 1914, Miss Florence Eden, who survives him with four children, Una, Barbara, Rowland and Evelyn, whose ages range from seven to two. His three brothers are Mr. F.D. Fawcett, Boise, Idaho; Mr. F.I. Fawcett, who made all the funeral arrangements; and Mr. E.C.B. Fawcett, Des Moines, Iowa. His five sisters, all living in Victoria, are Miss A.J. Fawcett, Mrs. E.M. Evans, Mrs. J. Kingham, Mrs. A.P.I. Calderwood and Mrs. Sydney Child. In Victoria also are his uncle and aunt, Mr and Mrs. Edgar Fawcett, “Dingley Dell.” [Note: Edgar Fawcett is buried in Ross Bay Cemetery, Victoria] To them goes out the deepest sympathy of all Cowichan residents. Funeral services on Sunday began at the Masonic Temple from whence the coffin was taken to St. John’s church at 1:30 p.m. There the Rev. F.G. Christmas, vicar emeritus and an old friend, conducted the service, the lesson being read by the Rev. A. Bischlager, vicar. Miss Monk, organist, played “O Rest in the Lord” and a choir of fifteen led the singing of “O God the Rock of Ages,” Psalm 90 and “Now the Labourer’s Task is Over.” At the conclusion the Funeral March (Mendelssohn) and “Sleep Thy Last Sleep” (Barnby) were played. There were 130 people present. Interment was at St. Mary’s churchyard, Somenos. Rain poured throughout. After the commitment by the Rev. F.G. Christmas, a short Masonic service, with its impressive rites, was conducted by the Worshipful Master and members of Temple Lodge. The Odd Fellows were represented by brethren from Victoria, Ladysmith and Duncan. Mr. N.F. Lang, Chemainus, represented the O.R.T. and Mr. A.R. Wilson, the oldest member of St. John’s choir, were the honorary pallbearers. The active pallbearers were all Masons, being Messrs. J.G. Somerville, John Kyle, F.W. Dibb, J.M. Campbell, K.F. Duncan, M.L.A. and Dr. D.E. Kerr. Mr. C.O. Van Camp, bridge and building master, and Mr. F.E. Tebo, chief despatcher, E. & N .R. , were among the mourners, as was Mr. W.L. Dunn, Dominion Express, Nanaimo. 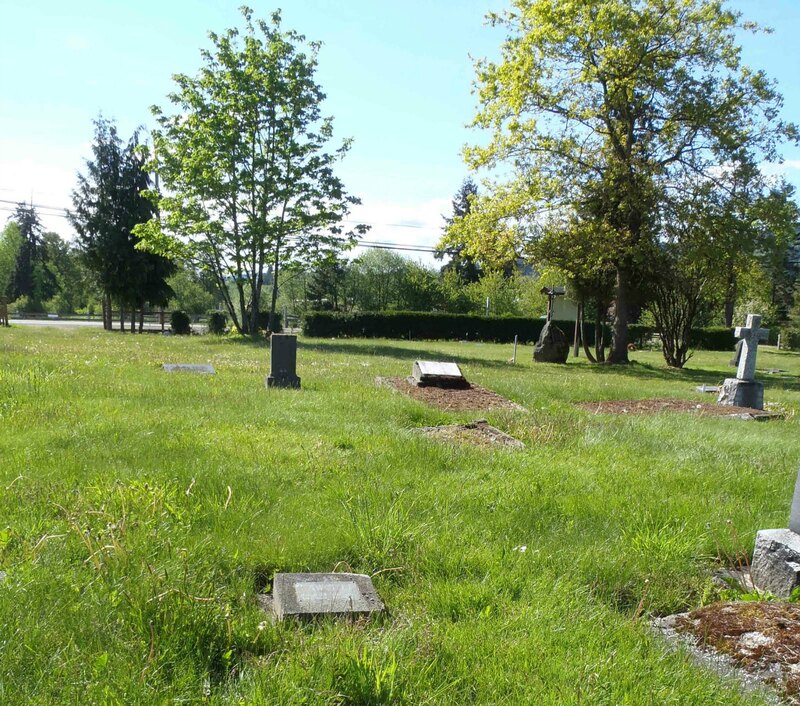 Roland Clayton Fawcett is buried in St. Mary’s Somenos Anglican Cemetery, North Cowichan, B.C. Roland Clayton Fawcett grave, St. Mary’s Somenos Anglican cemetery, North Cowichan, B.C. Roland Clayton Fawcett grave stone, St. Mary’s Somenos Anglican cemetery, North Cowichan, B.C.